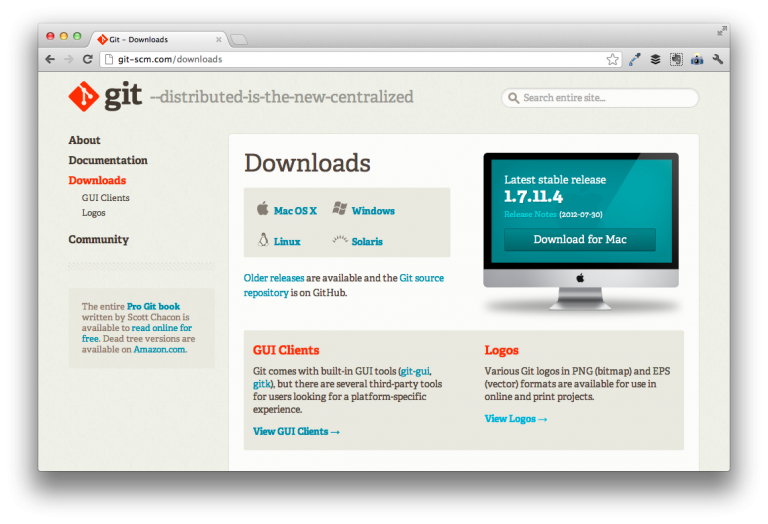 My favorite Git client for OS X is GitBox – it’s incredibly simple and makes working with git-based repositories really easy. Still, there are times where I prefer the command line for a couple of things and the various GUI clients come up short. If you’ve not installed the OS X Developer Tools, like Xcode, on your machine, then you’re likely unable to use a command line version of the application that is bundled with your client of choice. First, you have to install the command line application. Head over to the Git downloads page. Select the version of Mac OS X. Next, close your terminal sessions, restart, and you should be good to go. If you do a lot of work with the command line, then you’ll probably want to store your username and email with Git so you don’t have to enter it every time that you need to commit something back to the repository. Now you should be able to use both your favorite frontend application as well as the command line when working with your repositories. I recently installed git, I have a question, the terminal is the only way to use it ? Or are there other interfaces for working on git ? I’m a big fan of Tower, but GitHub also has a free client, as well.